Since discovering Asian beauty products and how effective and unique they are to the beauty world, my skin has flipped a total 180 and is something that I never thought I'd see it be in my lifetime. Earlier this year, I filmed a YouTube video showcasing how I performed my evening skincare routine, but didn't go into any depth about products used or why I chose the types or products or steps that I did. In this post, I'm hoping to cover what steps I take for my skincare routine, the types of products I use for each step, and some options that I've tried for that step as well. 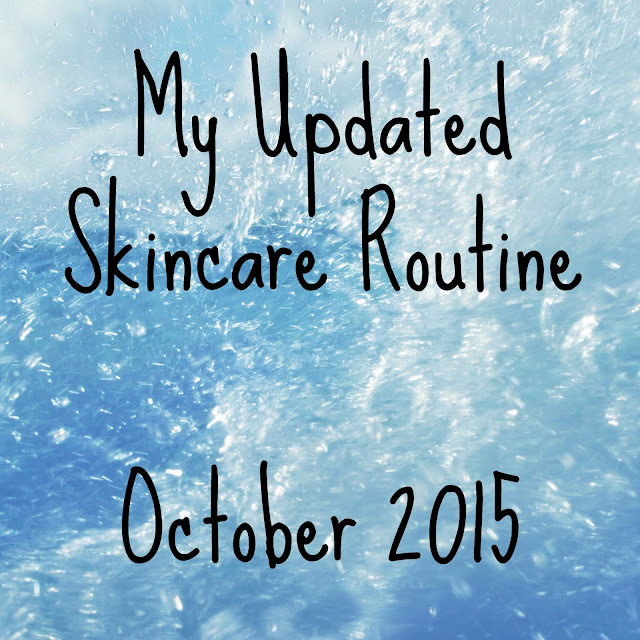 I'm currently testing more products, so products I like in this post may change in a month or may stay the same. These are just some current products I've tried and enjoy for each step of my routine. My skin is: oily, prone to acne, hyper-pigmented, can have dry patches in the winter, beginning to develop fine lines in certain areas & sensitive to alcohol. Cleansing is the biggest step where I really pay attention to what the pH of the product is. I like to use an oil cleanser at night to remove my makeup, and since these cleansers are oil based, the pH doesn't generally matter - but when I use a regular cleanser it really does. I am currently using a oil cleanser from Innisfree, but to be honest I really prefer balm cleansers. They don't necessarily work better, but they work well and are less messy. I use the same oil cleanser on my eyes as I use on my face. Each one will come with it's own instructions, but I generally take a small amount and massage it onto my dry face and gently onto my closed eyes. After a minute or so I wipe my face with a damp cloth then rinse it with warm water. This minimizes the mess I make at the sink but still allows the oil to emulsify and rinse away cleanly from my face. I haven't dabbled too far into Korean cleansers because, in my experience so far, their cleansers are high foaming with a high pH and drying to the skin. Of course there are exceptions, but I have not tried them yet. In the morning I only use a regular cleanser, but at night I always use a regular cleanser after my oil cleanser to remove anything the oil cleanser may have left behind, including excess oil. My biggest concerns when searching for a cleanser with a low pH (I've found that low pH cleansers or more gentle on my skin, don't dry it out, and help my acne) and that it doesn't contain alcohol. I rely on my toner to be a bit of a multi-tasker. I like my toner to have a lower pH like my cleanser, but I also want it to soothe my skin in the even that cleansing stripped it too much or if I'm just having a bad skin day in general. This step is dependent on either morning or evening. In the morning, I use a vitamin c serum because it helps lighten my dark spots, and the antioxidant properties of vitamin c help protect my skin from environmental damage during the day. In the evening I use an acid treatment to help accelerate the cell turnover of my skin. This pushes impurities out sooner and also speeds up the lightening of dark spots and scarring. I use BHA two nights a week and AHA one night a week to avoid over-exfoliating my skin. This step is what I feel helps prepare my skin for the upcoming products I'm about to "feed" it. In the morning, I skip to a moisturizer after this step, but this step opens up the door for my evening routine. Curology (formerly Pocketderm) is now an essential part of my skincare regime. It's not an Asian beauty product, but it's done wonders to my skin and probably the one product I simply cannot live without at this point. My Curology updates can be found here. Use my referral link to sign up for Curology to receive your first month free. This is an evening-only step. Sometimes I try a serum that really does help my skin and I end up using the whole bottle. This step was easier last year (as I mentioned earlier) but I currently look for serums/ampoules that give my skin an extra boost. This is also an evening-only step, but it's one that I've found essential to my routine. Since I have a hard time finding several different serums at any one time that are affordable, I've essentially replaced having several layers of serums with a different sheet each night to claim new benefits. Also, by using a sheet mask, the nutritious goodness is pressed against my skin longer and given a better chance to absorb more than by just applying a serum. ~You can check out past reviews here on my blog to find ones that I've enjoyed. This step is generally a lightweight moisturizer that I use in the morning before I apply my makeup or a bb cream, or in the evening before I apply a sleeping pack or heavier moisturizer that isn't suitable for daytime use with my oily skin. At night, I rely on extra moisture to counteract my skins' oil production for the following day. Sometimes, due to the weather or hormones, I just have super oily skin no matter what I do, but I've noticed by layering my moisturizers I have less oily skin the following day.